In AEGEE-Kraków you can meet Gabriela Szyszka, nominated as Member of the Month of December. She is very versatile: she was PR in her first AEGEE event and, after less than one year, HR in the “Language Conversation” project. She has been also an organiser in a TSU in collaboration with AEGEE-Budapest. But she worked really hard for the last NYE, also opening the door of her flat for an unexpected post-event party. Enjoy the interview! The AEGEEan: Congratulations, you have been nominated Member of the Month. How does it feel to win this award? Gabriela: “Mistake” – It was my first thought when I saw the message. I am still shocked and surprised because I follow The AEGEEan and when I read all those stories about MoMs – those AEGEEans did huge things. This nomination gave me a lot of motivation to work and now “I am walking on sunshine” (although recently it has been raining in Poland). Who is Gabriela? What is her story in AEGEE? Her first AEGEE event was in December 2014. While studying hard (read: scrolling Facebook feeds), she saw the PR Camp event. She did not know much about PR, but she sent her application and she was accepted. She remembers that she really liked the atmosphere during the event (badge with names, photos with flag, integration games – for her it was a total novelty). When she saw the next event, she did not hesitate and she participated. Then she won a competition in promoting learning languages… and she decided to join AEGEE-Kraków. In spring 2015 there was her first LTC and a month later the Management Training Course. She started to help with the preparation of the Travelling Summer University organised with AEGEE-Budapest (that was her first international event and she felt “falling in love with AEGEE”; also it was her first adventure in hosting AEGEEans). She was motivated to be more active in AEGEE, but unfortunately she had to leave AEGEE because of Erasmus. She missed students’ organisation because there is not an AEGEE local in Almería. Then, after half a year, she was totally impressed by the atmosphere during Agora Bergamo and she kept in mind James Brown’s song “I Feel Good” all the event (except the morning after European Night). Her next project was “Language Conversation” with AEGEE-Kraków – where she tried to be a good HR in this project. Finally, two months ago the 25th Birthday & Highlander New Year’s Eve of AEGEE-Krakow. That is her story and she hopes that not soon she will sing with Adele “this is the end”. I should put all the names of my AEGEE friends in this answer because without them I could have not been able to write all those things above, so I only say: THANKS TO ALL OF YOU! Also, I would like to mention about my parents and family that support me in my activities. 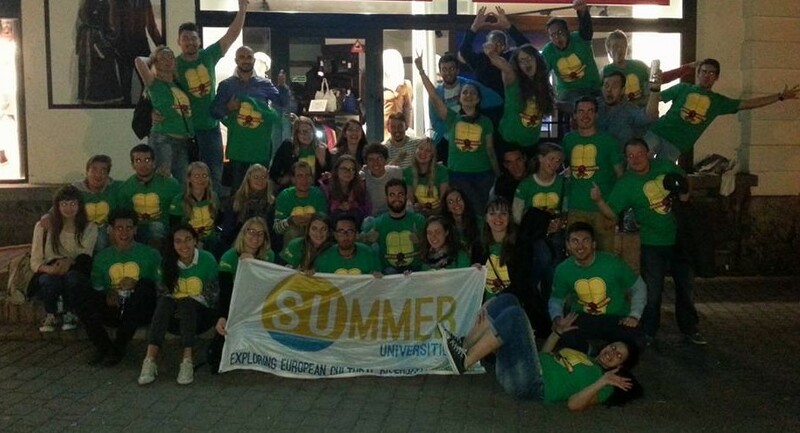 What is your life besides AEGEE? I am studying Economics in Kraków (ok, I am trying to study). So I have all those problems like should I stay (in bed) or should I go (to the lectures)? I hope to win the Nobel Prize one day and then spend the rest of my life in Mauritius. Of course I have prepared a plan B. If I fail, I will move to Turkmenistan and become a goat farmer. 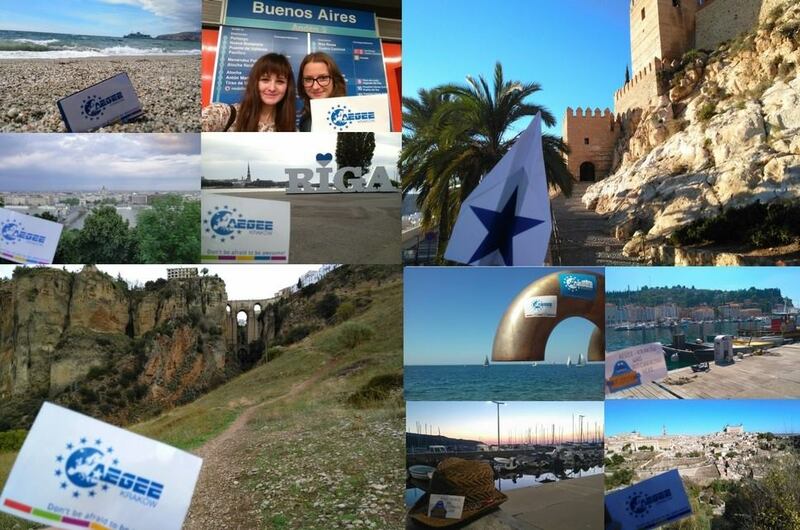 Beside that, I love travelling (like all people in AEGEE, I think). I do not like typical travel by bus, plane or train. I prefer hitchhiking and sleeping in the middle of nowhere in a tent. Thanks to this method with my student budget in two years I visited more than twenty countries and met a lot of nice and hospitable people. This way for me is more exciting and allows to really feel the culture and know the real people’s lives in different parts of the world and hear different stories from drivers. I like European countries, but I would like also visit South America in the future, that is why I am trying to learn Spanish. I love pandas. I will adopt one in the future. Describe your personality by using the initials of your name(s). You worked or the Royal 25th Birthday & Highlander New Year’s Eve of AEGEE-Kraków. What was the best moment? What was the most difficult thing you experienced? Actually I did not work as much as the main organisers. I started to help during and after the event [she smiles, ed.]. For me, all the event was amazing and exciting. One of my favorite moments was the Pub Crawling, I was the leader of one group (Nine or Nain – cheers for you guys). I was the worst leader you can imagine. Despite having a map and GPS and despite the fact that I am living in Kraków, we got lost five times (or more). But we were really integrated and we did all the task so creatively that finally we won competition. 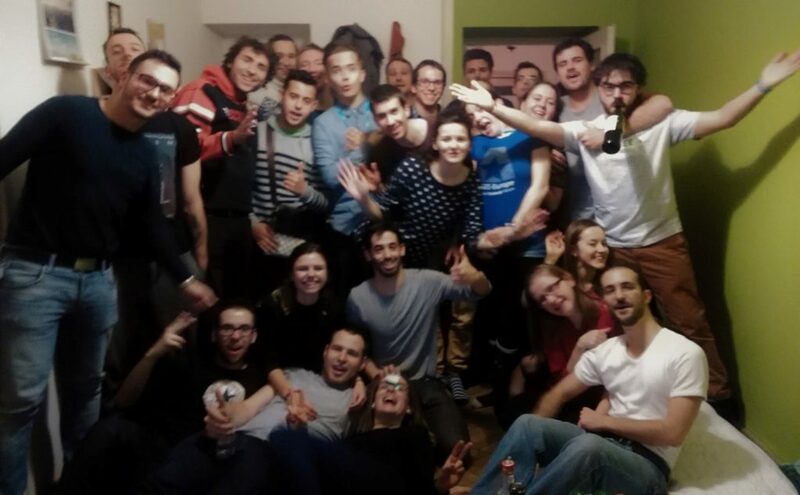 Also, I liked the unexpected party in my flat on the 1st of January – best beginning of the year (Eurovision, Maria Salvador song, tasty pasta cooked by Italians and Slav Squad). I avoid post-event depression in great way. The most difficult part was the end of an almost one-week event and going back to normal life (and realising how much work I had to do before my exams due to procrastinating during Christmas break). Are you happy about the results and proud of them? Would you change anything, looking back? Of course, I am happy! I would only change my flat for a bigger one. Anyway, we managed plates for everyone, mattresses to sleep and even we danced Tunak Tunak, Macarena and Polonez. Polonez is the name of the Polish car but it is also the name of a traditional Polish dance that lot of AEGEEans learnt to dance during New Years Eve party and they really liked that. Here, I would like to thank my tolerant neighbours and flatmates. Have you been an active member before and during Agora Bergamo? but since Agora Bergamo I am more interested about the activities of International Bodies and Working Groups. Agora Bergamo was my first Agora and I was not a delegate. On that event, there were forty members from AEGEE-Kraków and the majority of us had taken the same filght so I felt excited already at the airport. The event was unforgettable for me because everything was new, and also I met my friends from Summer University. Name one good thing and one bad thing about AEGEE. It is hard to name only one good thing. For me the most important thing in AEGEE are of course my friends from the whole organisation and the atmosphere during European events. In those moments I really feel like an inhabitant of a democratic, diverse and borderless Europe. I love helping AEGEEans when they are visiting Kraków or hosting them when I have a time. It completely confirms one of my favorite quotes from the movie Into the Wild “Happiness only real when shared”. Bad things? That it is impossible to get to know all the members [she smiles, ed.]. If you could change anything in the association, what would it be? I think that is hard to change anything from day to day. Changing is a process that lasts some time. We are learning all the time from more experienced members. We are discussing about things which could be improved, and in my opinion is it is really good because we can learn tolerance, how to achieve an agreement, how to cooperate. Also I am not that involved at the European level of AEGEE to talk about changes. What are your future plans for AEGEE? Recently, I became a coordinator of Summer University so I am excited when I think about THIS summer. We want to prepare everything on the highest level and make that participants feel the “summer of their life”. I have a really good team of friends and Lidia as a Content Manager so actually I am counting days to this event and hope that you, readers of this interview, will apply!